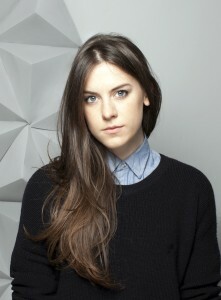 Abbie is a Director and Animator based in London. She graduated from Central Saint Martins school of art in 2009 and has since directed films and animations for clients such as MTV, Nike, Playstation, The Discovery Channel, Creature and Universal. Abbie turned her hand to fashion film in 2012 with a film commissioned by the British Fashion Council for Emilio de la Morena which premiered at London Fashion Week and was nominated for an international fashion film award for best concept. Abbie’s music videos have been nominated for 2 UKMVA awards and a British Animation Award Following these successes Abbie was commissioned by Channel 4 with her film ‘Misery Guts’ which was aired on Channel 4 as part of the Random Act segment.